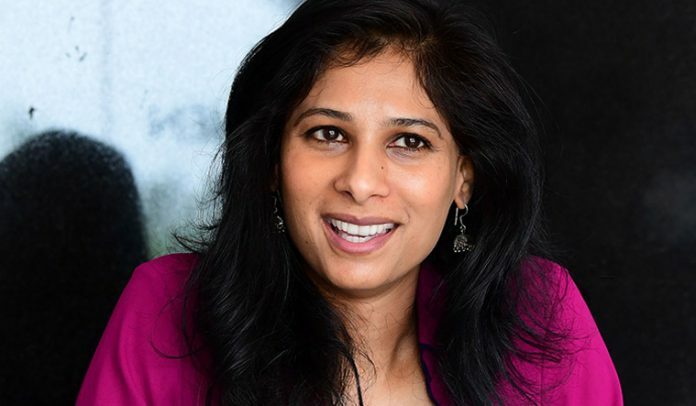 Mysore-born Gita Gopinath has joined International Monetary Fund as its chief economist, becoming the first woman to occupy the top IMF post. Gopinath’s joined last week at a time, when she believes the world is experiencing a retreat from globalisation, posing challenges to multilateral institutions.The John Zwaanstra professor of International Studies and Economics at Harvard University, Gopinath, 47, succeeds Maurice (Maury) Obstfeld as Economic Counsellor and Director of the IMF’s Research Department. Obstfeld retired December 31. Announcing her appointment on October 1, IMF Managing Director Christine Lagarde described her as “one of the world’s outstanding economists with impeccable academic credentials, a proven track record of intellectual leadership and extensive international experience.” The 11th chief economist of the IMF, Gopinath in a recent interview to The Harvard Gazette described her appointment at the IMF as a “tremendous honour” and said the appointment of the first ever woman for this position speaks highly of IMF’s Managing Director Lagarde. “She is phenomenal, not just in her leadership of the IMF but as a role model for women around the world,” she said. Identifying some of her top priorities at the IMF, Gopinath told The Harvard Gazette that she would like the IMF to continue to be a place that provides intellectual leadership on important policy questions. “Among the research issues that I would like to push, one would be understanding the role of dominant currencies like the dollar in international trade and finance. We could do more on the empirical side to try to understand countries’ dollar exposures and on the theoretical side in terms of the implications for international spillovers, consequences of dollar shortages, etc,” she said. Most countries invoice their trade in dollars and borrow internationally in dollars. This is a central part of the international price system and the international financial system and it will be exciting to explore its consequences in greater depth with the IMF, she said. 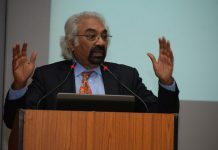 Gopinath considers the perceived retreat from globalisation as one of the top challenges being faced by the IMF. “The one (biggest issues being faced by the IMF) that is absolutely clear and present is that we are seeing the first serious retreat from globalisation. This has not happened in the past 50 or 60 years, when the world moved toward lower tariffs and increasing trade across countries,” she told the prestigious Harvard publication. 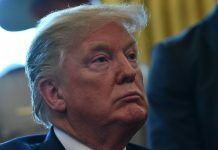 “Over the past several months, we have the US-imposed tariffs and retaliation to them from China and other nations. There is in general growing uncertainty about trade policy, including the one arising out of Brexit [the British move to leave the European Union]. “While the trade has reduced global poverty and raised livelihoods, its consequences for inequality, and on whether the rules of engagement are fair, are real concerns that need to be addressed,” she said. Gopinath said there is also a concern about whether there is the right multilateral institutions and frameworks in place to make sure everybody feels that there is fairness in trade. “And the same goes for capital flows,” she added. “Foreign direct investment [FDI] was always viewed very favourably by countries. But because most of the FDI is now in tech-heavy firms, there are growing concerns about national security and international property theft. So I believe this retreat from globalisation and this retreat from multilateralism is quite unique to the times we are living in,” Gopinath said.Another important concern, she said, is the health of emerging markets as the US continues to normalize its interest rates. The capital flows to several markets have reversed, putting pressure on their exchange rates and consequently on inflation, and on balance sheets, given that several emerging markets borrow heavily in dollars, said the IMF chief economist.